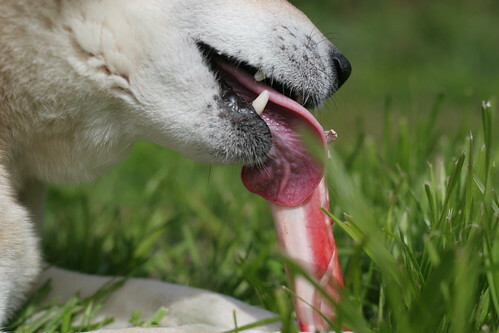 The local fancy butcher store had something extra in the dog food bin — raw lamb bones! Almost no meat attached though. Still, good for the teeth. With a single THUMP announcing the delivery on the front porch, the Bows got more postal love than I’ve gotten in years! I never thought I’d feel mail jealousy directed towards my dogs. That’s quite a first impression! A printed menu presented the month’s selections with peppy, personalized descriptions. My quick tabulation of local retail prices for all this schwag rang up at about $60 total. If this box is indicative of the usual fare, subscribers are in for some great deals! More importantly, the quality of the items show that the folks at Pawalla know what they’re doing. Everything in here was a brand that we have either purchased in the past, or noted as worth trying in the future. That means that Pawalla has passed The House of Two Bows’ stringent selection criteria multiple times! What are the chances? Pretty good, apparently, if you have a certified nutritionist on board. I love that the company has the credentials of their nutritionist, Dr. Susan Lauten, prominently featured on their introduction page. If Pawalla adheres to Dr. Lauten’s advice as I found on the website for Nature’s Variety, one of the brands she advises, I am confident that the company will maintain rigorous standards. That is, I expect all future products to be free of low-quality grains like corn, wheat, or soy (though not necessarily grain free), gluten, animal byproducts, generic meats and fats, and chemical preservatives. I also checked each item to make sure that none of the items were manufactured in China or other sites of recent recalls. 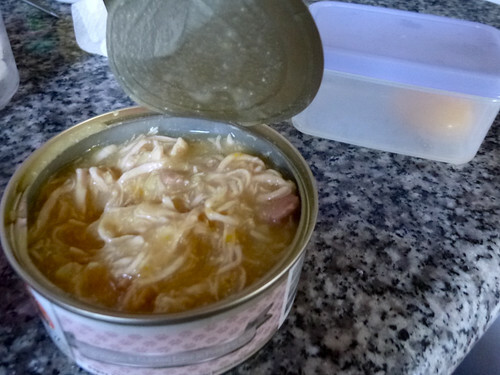 While Weruva, one of the brands of canned food included in this box, is manufactured in Thailand, the plant adheres to international export quality standards that should allay the fears of consumers with a North American bias. Eric, one of the company founders, assured me that they “share[d my] concern about Chinese made products and do not provide them in [their] boxes.” In the future I would like to see a more explicit policy about how the company will ensure that their products pass muster, including staying abreast of recalls and how they would issue item replacements, if necessary. As it is, the company FAQ covers more of the monetary and procedural end of affairs, and offers less detailed information regarding what’s actually inside each box. Some amount of mystery is necessary, after all, to preserve the element of surprise! Perhaps some of the reticence is because the company is still in development. Future plans include an online store, to be launched in August, for customers to stock up — because sometimes a single can is just not enough for a hungry pet, let alone Two Bows! 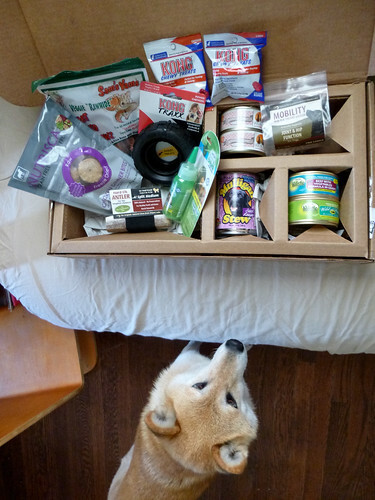 This subscription service is ideal for dogs who exhibit no food allergies. I asked Eric if they had plans to restrict protein options pending pet owner preferences. 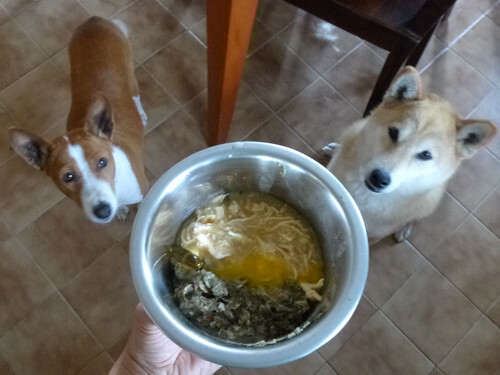 Unfortunately, we are hearing about more and more about dogs who exhibit sensitivities to common proteins across the board — which is one reason why so many in my crowd are eager to embrace home-prepared meals. Understandably, this would complicate the supply process if enough picky-bickys join the club, but this is a valid deterrent to a more long-term subscription for consumers like us, despite the great value (note that two free months are currently being offered with a year’s subscription). Having some probiotics and digestive aids on hand might be a good idea when trying out new products. Luckily, the Bows are used to variety, but if your pet is not, be aware that you might wreak havoc on your pet’s digestive health if you try to go through a different can of food a day without adequate transition time. It would be better to pace the surprises over the course of the month. 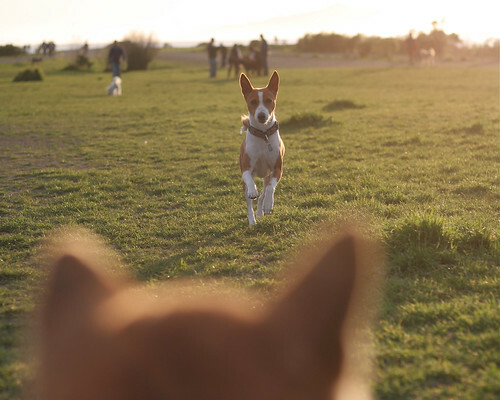 I would recommend this as an awesome gift idea for first-time dog owners — and it’s very easy to purchase a 3, 6, or 12 month gift subscription for someone else. 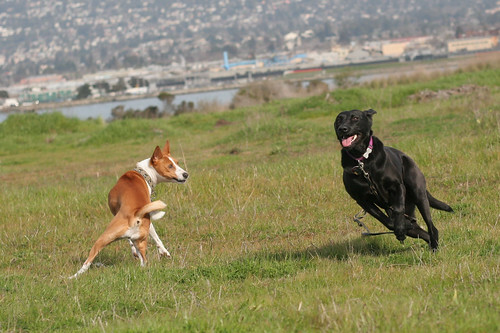 Perhaps your best friends just adopted their first dog and they’re overwhelmed by the wide world of dog products. 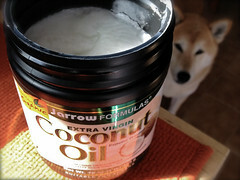 Pawalla has it in them to guide newbies to the good stuff first. Yet, there are still surprises in store for more seasoned consumers, too. Personally, I was excited about the Wapiti Labs mobility supplements for Bowdu, and the Tropiclean dental gel for Bowpi, though it’s too early to tell if these products work as advertised. It is also important to me that Pawalla offers some customizations for pets of different ages and sizes. 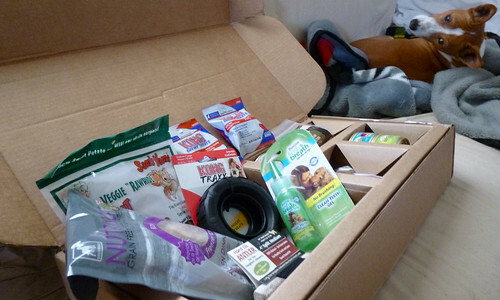 The promotional box contained items that would have been appropriate for a range of ages from puppies (super tough chew toys) to adults and seniors (mobility supplements). 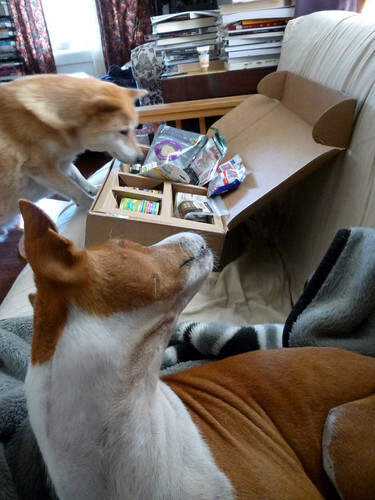 Frankly, we prefer consumables to objects that just accumulate around the house, though a post on the Pawalla blog makes an argument that everything in the box is essential, from food to toys, when you’re striving for the optimum physical and emotional health for your pet. Over time, I will be curious to see how Pawalla can maintain both a commitment to quality while rotating enough product diversity to keep subscriptions interesting. 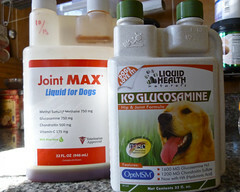 A common complaint of other pet deals sites is the number of repeat offerings. Is it possible that there is a finite number of high quality brands that Pawalla can present? 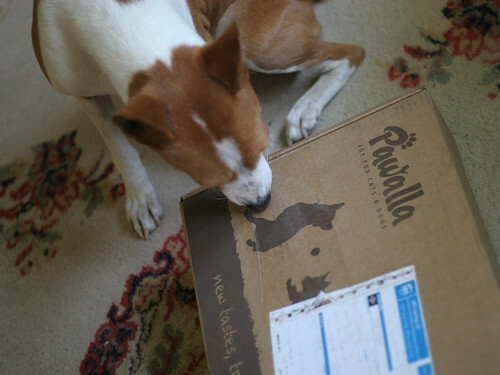 Or does a service like Pawalla actually help promote higher standards and fuel the growing market for quality pet products? I’d like to think the latter is true, and indicative of a positive trend in how people are willing to care for their pets. Meanwhile, I’m grateful for the existence of companies like Pawalla that appear to align with my own retail philosophies. I was honestly impressed by the execution, and they’re definitely on the right track. However, I will withhold my highest grade because there is no record yet of consistency, which is critical for a subscription-based operation. But since The Bows asked so nicely, I do believe we’ll be getting another box in the future. ** Note: The House of Two Bows was given one promotional box in exchange for our honest review. 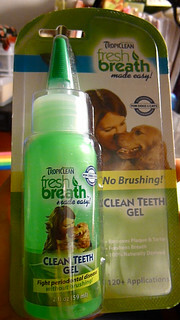 One of my goals for the dogs this upcoming year is to be more attentive to their dental health. Bowdu is the easy one. His teeth basically seem to clean themselves. Not bad at all for a dog who’s going to be seven years old next week! Bowpi had oozed over into my vacated warm spot on the bed this morning. 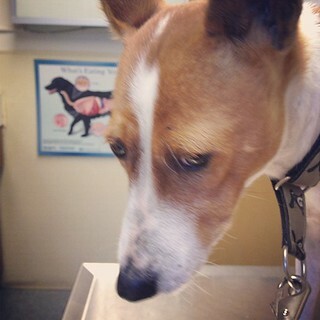 I was reluctant to scoop the sleepy Basenji puddle into my arms, but we had an appointment to keep! 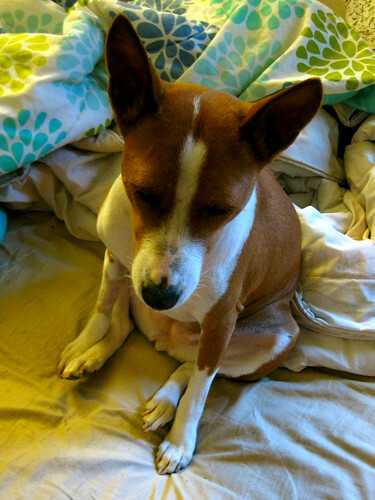 Meanwhile, Bowpi seems to have discovered her voice, or at least the power of a whimper. She whimpered for about twenty minutes straight after we came home, until I offered her some yogurt laced with Rescue Remedy. She eventually drifted off to sleep, and saw fit to protest her rough day whenever she briefly regained consciousness, but mostly she stayed asleep. She got a little bit of food, which was eagerly consumed after not having eaten all day. The vet recommended just half her usual amount, and then the remaining half later in the evening if she seemed interested. And she was. 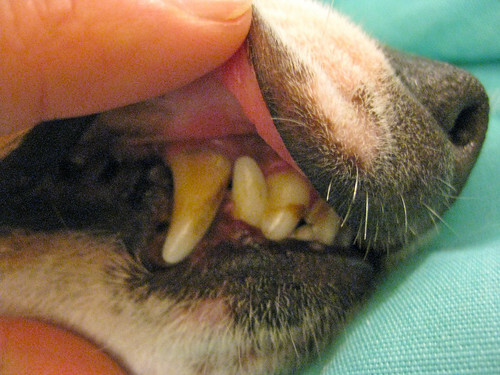 Thank goodness there were no extractions, and this is not meant to be a regular procedure! And yes, I did shop around… but in the end, I thought it was important to try and cultivate a relationship with a regular vet, which this clinic is becoming. Given our past experiences with less accommodating practices, I’ve been impressed with this vet’s level of communication and their willingness to try a range of options. I hope my praise doesn’t jinx this relationship. I hope to have more good things to say about this vet later. Even if Bowpi would sooner leave the memory of today behind. 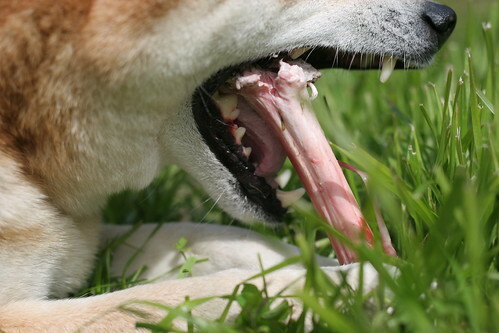 Grit those teeth and prep your wallet – it’s National Pet Dental Month! Never mind Valentine’s Day. 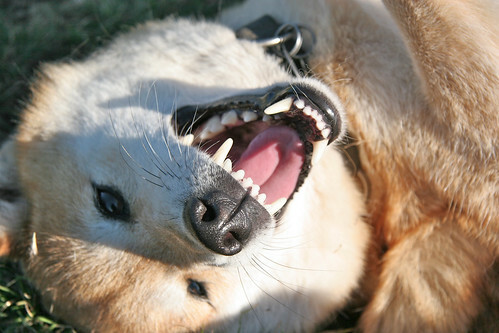 We’re “celebrating” something you’re not likely to exchange Hallmark cards about — National Pet Dental Month! 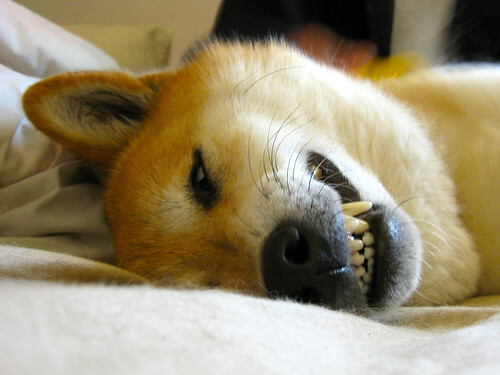 Like Valentine’s Day, it’s an event that encourages you to spend money on your loved ones, in this case, your pets with bad teeth. Both Bows are supposed to be about the same age, six years old, but there’s a pretty big difference in the condition of their teeth. 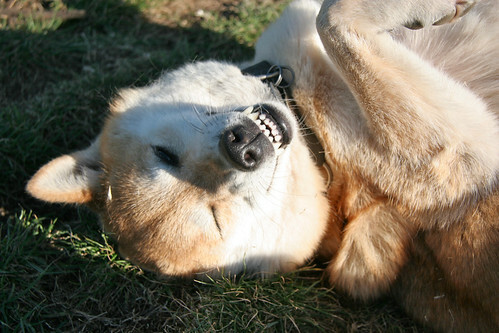 Above is Bowdu’s “Alien” face, after H.R. Giger’s toothy monster. Sometimes he makes a stink because he doesn’t want to be Furminated, but I assure you that it looks scarier than it actually is. 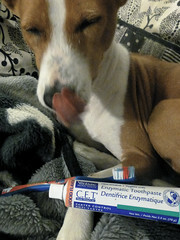 And sometimes he enjoys his brushings, so his eyes roll back in his head even though he’s baring his teeth. At any rate, we get ample opportunity to examine Bowdu’s teeth, and they’re looking pretty good, even with the mild tartar buildup. 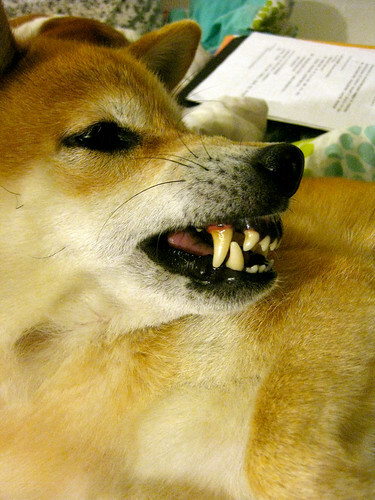 Bowpi, on the other hand, came to us with terrible teeth and horrid breath. We’ve already seen much improvement since she arrived. 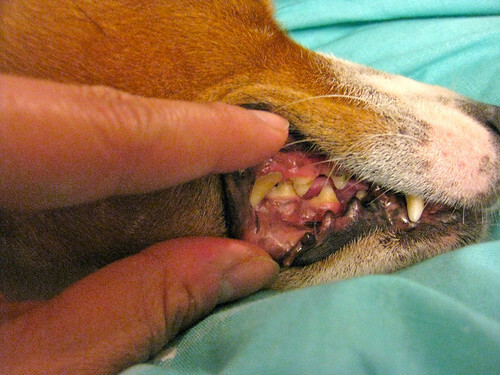 In the picture above, the rim of brown on her incisors marks where tartar used to be caked, all the way up to her gums. A regimen of dental chews, hard kibble, raw meaty bones, and anti-plaque additives sprinkled over her food has done wonders over these months (I failed at learning how to brush her teeth), but she still needs more thorough work. She’s been examined by a few techs and veterinarians, who aren’t expecting any extractions though the most severe funkiness on the back right molar (only partially exposed above) might need a closer look. 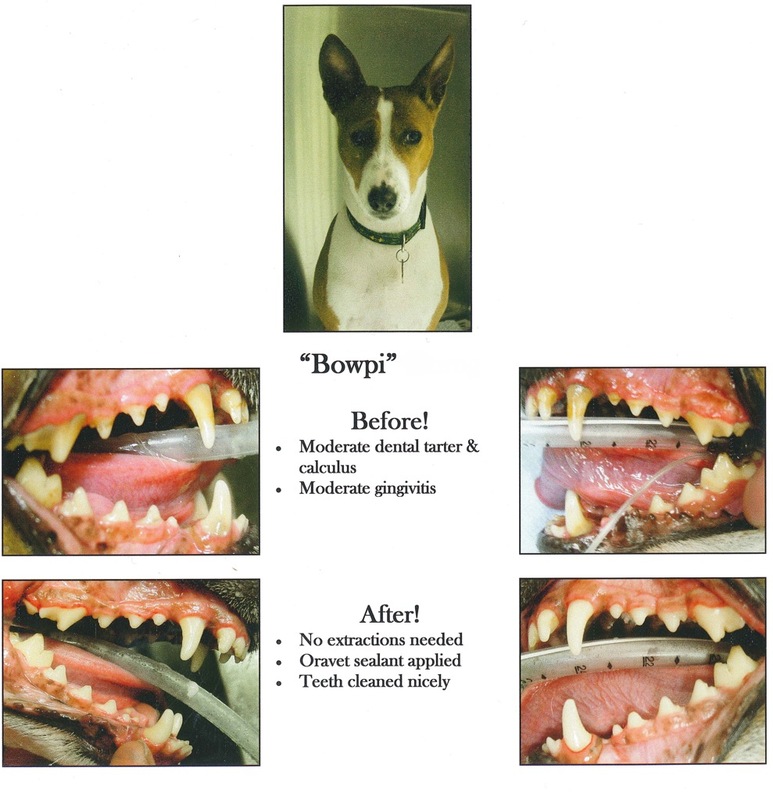 At any rate, none of the professionals who checked her out thought her case was urgent, and recommended waiting until National Pet Dental month (February) so we could take advantage of month-long discounts on the procedure. With estimates starting at $550 (before discounts) and going as high as $1300, you BET it means a lot if we can knock 20 ~ 25% off the bill! Bowpi’s appointment is scheduled for tomorrow. My credit card is as ready as it’ll ever be. 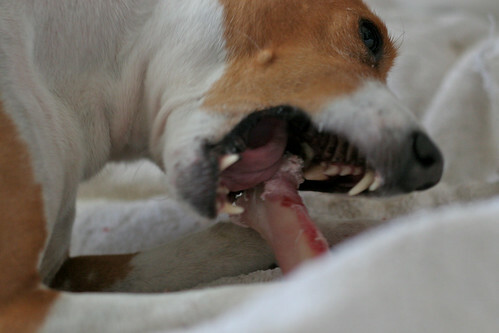 As bad as Bowpi’s teeth were when she first arrived, we’ve managed to get a lot of mileage out of dental chews because she’s a very thorough chewer. 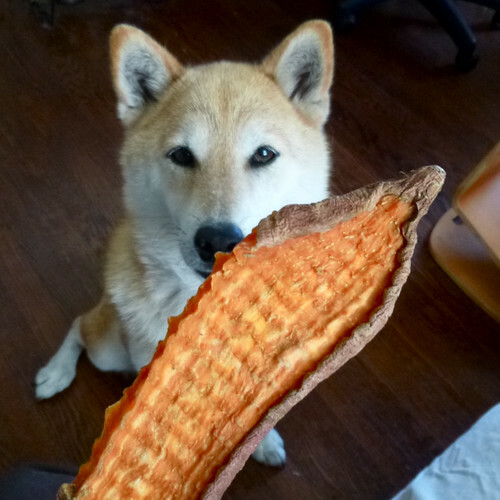 Here’s a video of li’l miss Basenji enjoying a Salmon skin roll. Also, REMINDER: Today’s the last day of the first House of Two Bows GIVEAWAY. 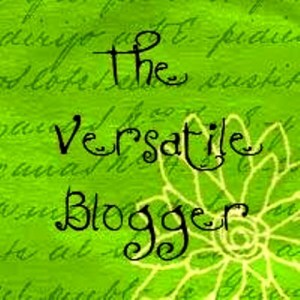 Click the link to go to the entry explaining it all. Enter by the end of today for neat Asian stationery products and the honor of having a Kuranda bed gifted to my local animal shelter in your name. I’ll be picking winners this weekend and announcing them on Monday, so hurry!